Ladies and gentlemen...what's the word? 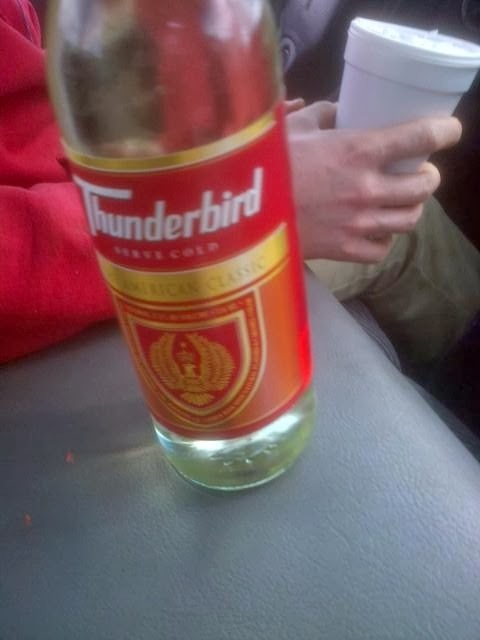 Thunderbird! 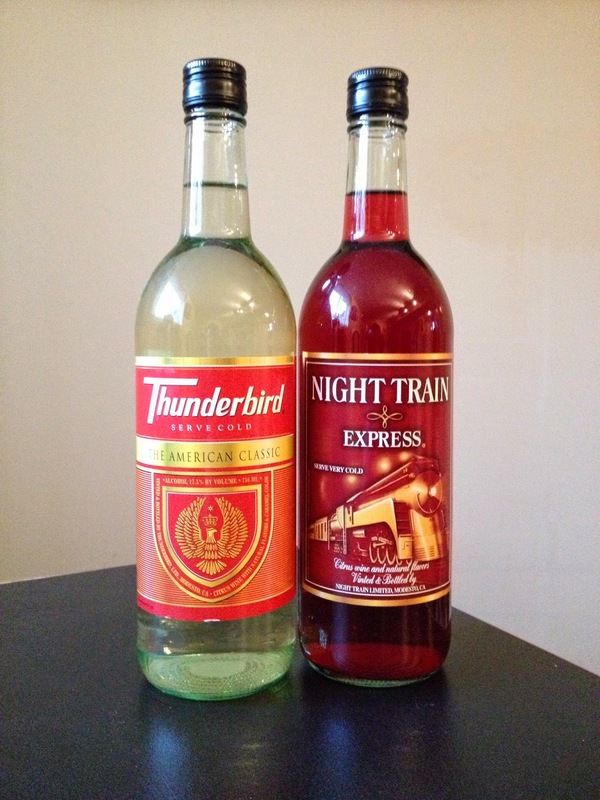 In my opinion, I rank the Night Train Express and Thunderbird as #1 and #1A in the bum wine world. Both are made by Gallo wines, even though they don't want to admit it. 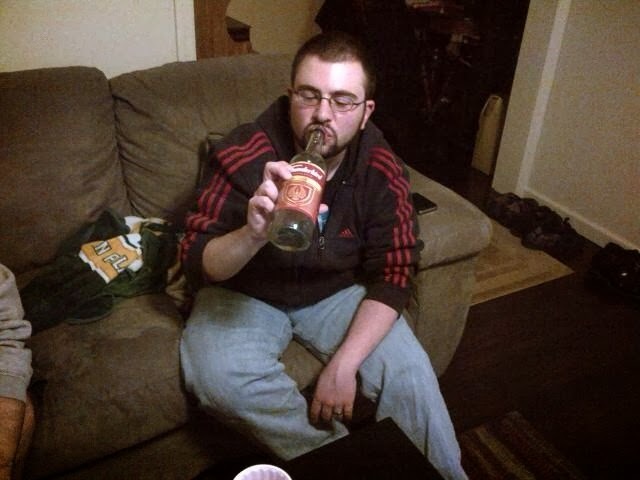 These guys are sitting on a goldmine and just don't realize how to promote these fine wines to the masses. 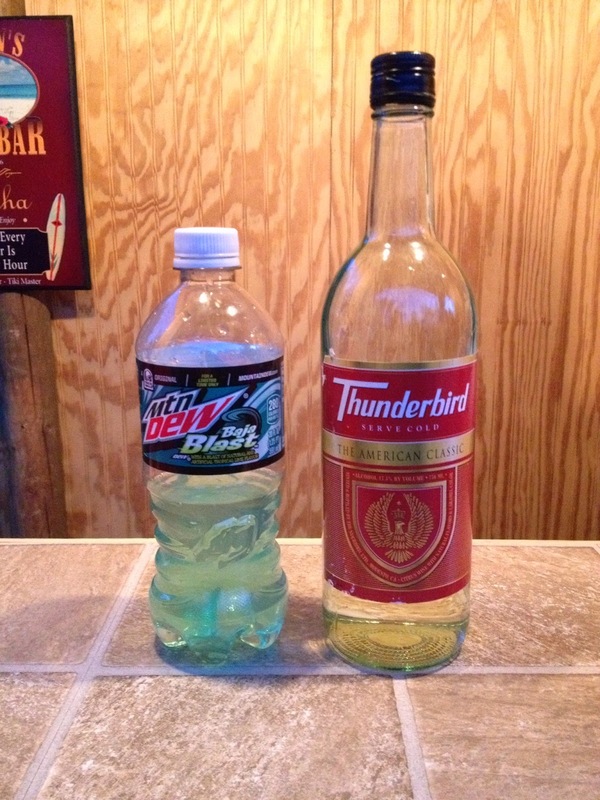 I'm telling you that with the proper promotion, I believe we can get these wines back into the mainstream. 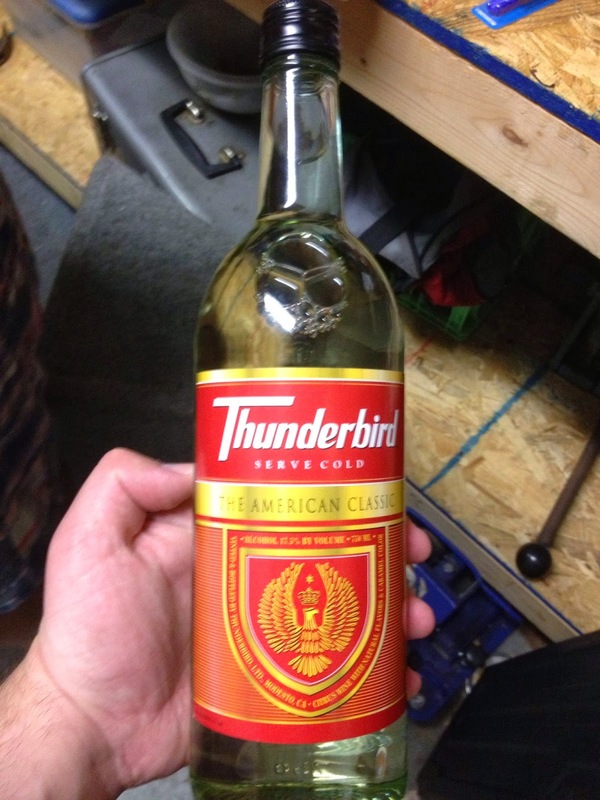 Do yourself a favor this weekend and pick yourself up a bottle of Thunderbird. You can thank me later. 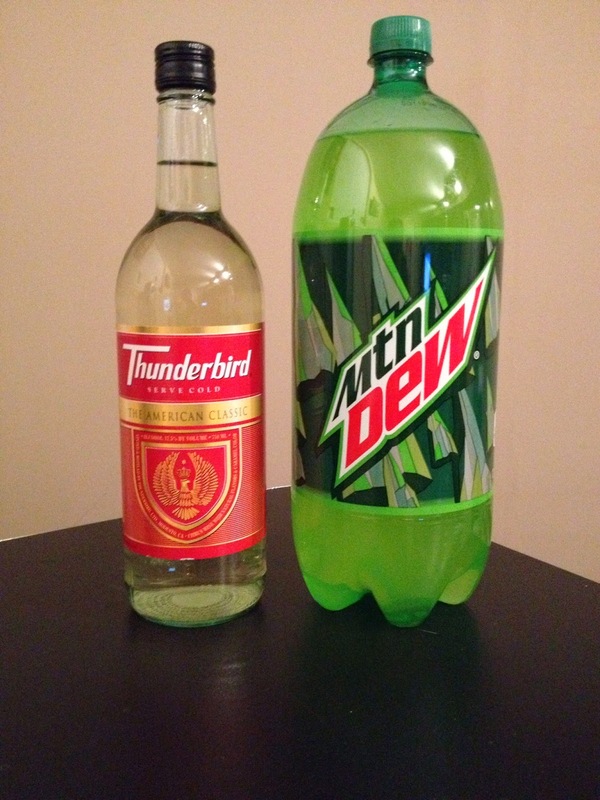 As always, what do our friends over at urban dictionary have to say about Thunderbird? 100% pure foreshots and tailings!